Yes you can… using Xamarin! What is Xamarin? Xamarin is a development tools, a framework, to create cross-platform apps that can run on iOS, Android and Windows Mobile with the same shared codes using C#. As we all know that Xamarin are now FREE in Visual Studio 2015 and it became Open Sourced, we would like to announce that the Xamarin related topics will be included in our community as part of the .NET journey. We love Xamarin subject to be part of the .NET Developers Community as well. Xamarin.Forms ships with most common cross platform controls out of the box, and there is a certain process of how Xamarin.Forms user interface rendering is executed. Xamarin Forms also let us override this process of rendering to customize it to our own requirements. This provides an incredible flexibility of complex UI customizations for Xamarin.Forms development, and there are certain key points that we need to pay attention to when we use Custom Renderers. We will create one simple utility to show how easy is it to build your own mobile app in 10 minutes using Xamarin. 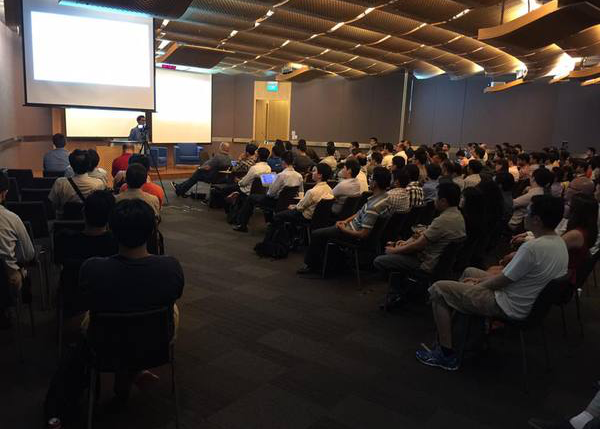 Ben, Udara and Sohel are Xamarin experts in Singapore. If you also have knowledge on Xamarin, please share to us. We look forward for more Xamarin related development meetup as well. Please join this meetup and learn how to create a cross-platform app using Xamarin starting from installing up to deploying to the Windows Phone, Android and iOS. Help to invite your friends of friends to join this awesome meetup. Many thanks for your support and help.